Is a Tax Refund Exempt from a Bankruptcy Case? - Crooks, Low & Connell, S.C.
For many individuals who are considering bankruptcy or are in the midst of the bankruptcy process, a tax refund can provide much-needed financial relief. Even if a tax refund does not solve all of your financial problems (and it most likely will not), getting money back from the government may be enough to get you up-to-date on your car payments, pay the next month’s mortgage bill, or satisfy other outstanding financial obligations. 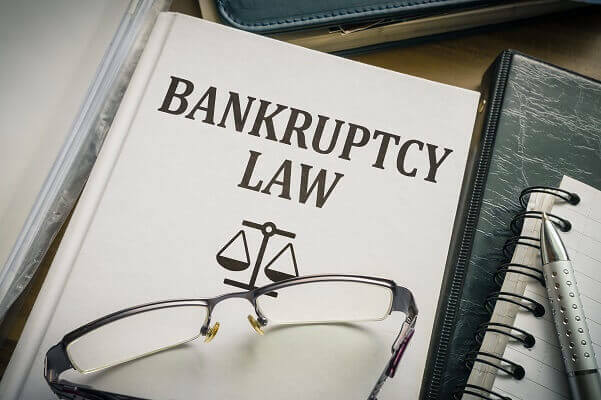 When you file for bankruptcy under Chapter 7, the general rule is that refunds based upon your pre-bankruptcy income become part of your bankruptcy estate. This means, generally speaking, that your bankruptcy trustee has the discretion to use your refund to help pay what you owe to your creditors. On the other hand, any refunds attributable to income you earned after your filing date would fall outside of the reach of the trustee. If you can time your tax return and bankruptcy filings so that you receive your tax refund before you file for bankruptcy, you may be able to spend your refund on approved expenses. These include things like mortgage and rent payments, utility bills, medical care, and other living expenses, and exclude payments to friends and family members and purchases of luxury items. If you still have time, you may be able to adjust your income withholdings in order to reduce the amount of your refund or eliminate your refund entirely. If you receive a refund for pre-bankruptcy income while your bankruptcy case is pending, you may be entitled to retain all or a portion of your refund by claiming an exemption. If you receive a tax refund during your bankruptcy, you may be required to submit it to the trustee even if the check is made out to you personally or deposited directly into your personal account. Under Chapter 13, tax refunds are handled differently. Since a Chapter 13 bankruptcy involves establishing a three to five-year payment plan, the trustee can collect refunds received during the entire repayment period to help satisfy creditors’ claims for payment. In a Chapter 13 bankruptcy, tax refunds are considered an additional form of disposable income, so in most cases they are not simply the debtor’s to keep. However, there are still options available for protecting tax refunds in a Chapter 13 bankruptcy. For example, as with Chapter 7 bankruptcies, one option may be to adjust your withholdings so that you receive more of your income each month instead of accruing a refund. If you need your refund to pay your bills, you may be eligible to keep your refund, as well. Speak with a Bankruptcy Lawyer at Crooks, Low & Connell, S.C. The tax issues involved in Chapter 7 and Chapter 13 bankruptcies are extraordinarily complex, and your rights with regard to tax refunds will depend upon the unique personal circumstances involved in your case. To find out how you may be able to protect your tax refund in bankruptcy, call our Wausau, WI law offices at (715) 842-2291 or request a consultation online today.